Just got back from 4 days in Las Vegas. Like a lot of folks, I have a love/hate relationship with the city; it's America's "ID" manifested in many dubious ways. However, hidden among all the tricky-tack and neon, the city has some real gems. 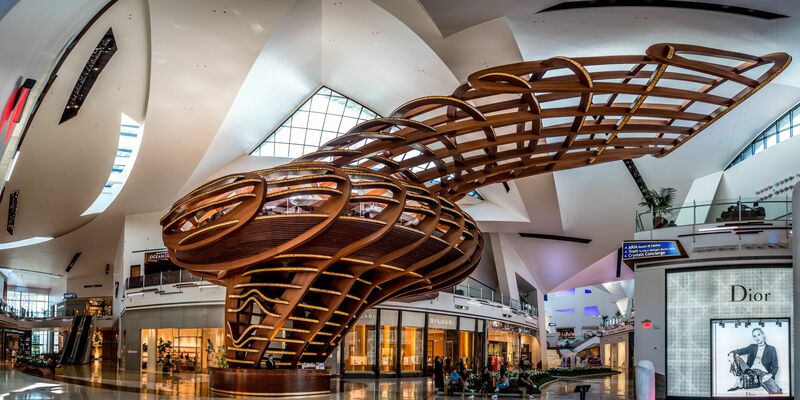 One is architect David Rockwell's 80-ft. tall "treehouse" restaurant, called Mastro's, at Las Vegas' City Center. Here a 8-frame image of the structure, stitched together in Adobe Lightroom, shot on a Nikon D810 with 24mm lens.